Here are some online orders (and one concert purchase) to dissect. Enjoy. I know I've probably talked this band to death this year (and I'm not finished yet... ahem, Soused), but Sunn O)))'s 2005 LP, Black One, has been on my list for quite some time. It was for me an elusive acquisition, copies selling out pretty quickly whenever a limited run would be produced and made available. This time, however, I managed to grab a copy and it's a nice package: Textured cover art with beautifully printed silver dust jackets housing thick, grey vinyl. I almost felt bad opening it, but it sounds great pushing through speakers. It's just inimitable, reverberating bleakness. Price was $35. 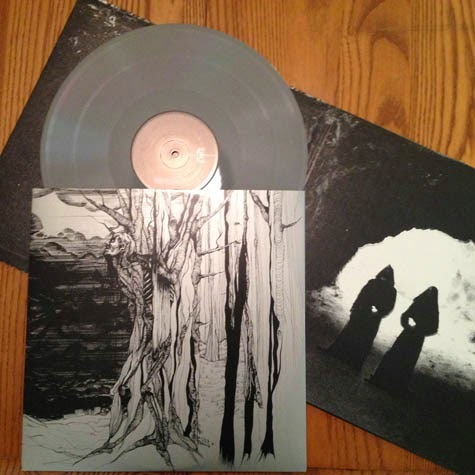 I will say, though, that I think I'm done with ordering vinyl from the Sunn O))) Online Store. 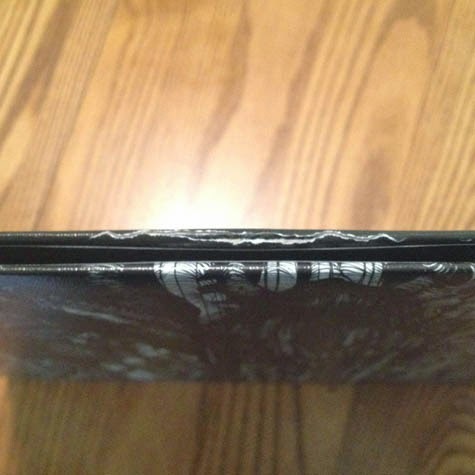 This is the second time I've received an order and the album has pierced through the top of the record sleeve. And, with such an excellent package, it is kind of a bummer that it showed up torn. I had the opportunity to see clipping. 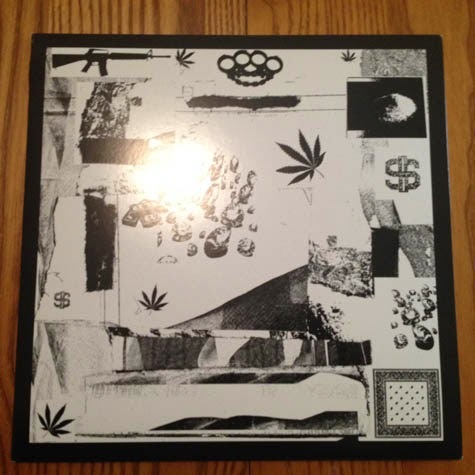 open up for Shabazz Palaces in late August, and picked up this 10" at the merch table for maybe $15. 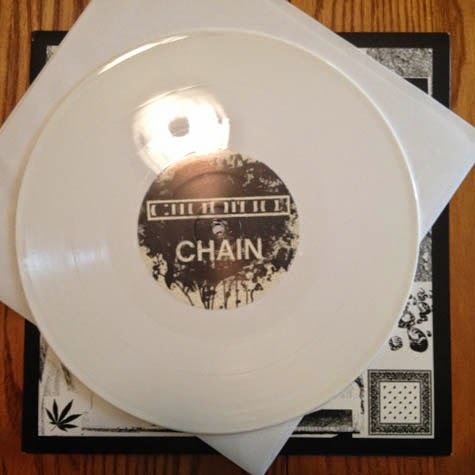 It's white vinyl, 45rpm and rare apparently. 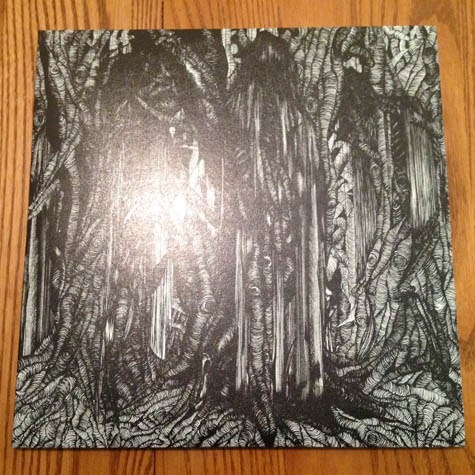 Saw some absurd price gouging online for this one, (someone wants $100 for it on Discogs). The album features two tracks and acapella versions of each. 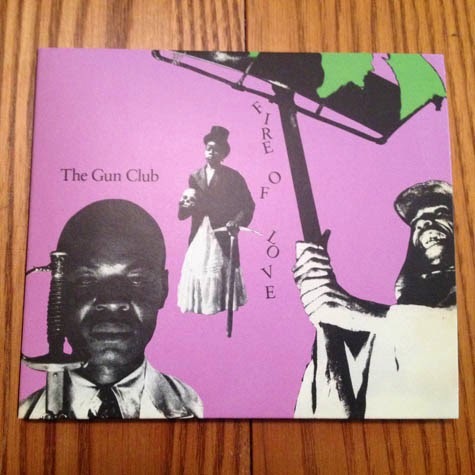 I wrote out a small blurb about Superior Viaduct reissuing The Gun Club's debut release, Fire Of Love, back in July. Figured I'd pick up a copy as it's another one of those albums that's collected virtual dust sitting on some long abandoned wishlist out there in the vast expanses of the limitless web, the price growing to unattainable heights thanks to its out-of-print status. CD only, which is unfortunate if you're turned off to the format. Digipack; nothing too fancy. A small tribute penned by Divine Horsemen's Chris D., who originally co-produced the album, is included. This is considered one of the essential releases of the 1980s and a significant entry in the annals of post-punk. 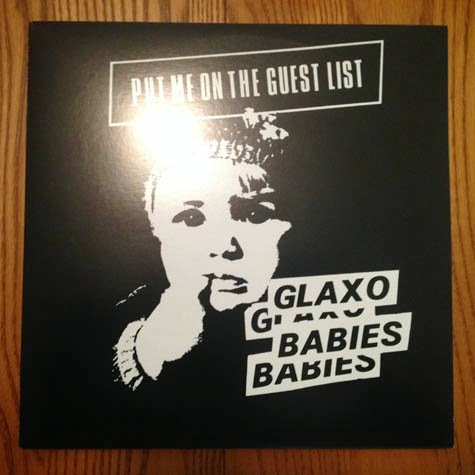 Put Me on the Guest List is a compilation release from the sadly short-lived U.K. post-punk band Glaxo Babies comprised of unreleased tracks from the late 70s. It's hard to imagine that this hadn't been released in the U.S. prior to the recent Superior Viaduct reissue at some point, but the earliest version of this I could find came out in 1980 in the U.K. via Heartbeat Records. According to the SV link, this is the album's first domestic release. Myself being uninitiated to Glaxo Babies prior to this purchase, I've been spinning this one a lot. Love the textures and tempo, love the rhythms and tone. These songs sound great on a turntable, charred and intentionally fuzzed. "Burning" has become a favorite song of mine. Completely worth the $15. An appreciation for Death Metal somehow eluded me back when I was a growing, self-absorbed, typically unhappy and sullen teenager, when I should've been less conservative with my musical tastes. I had some moments of clarity: Morbid Angel's Covenant and Death's Individual Thought Patterns in particular. 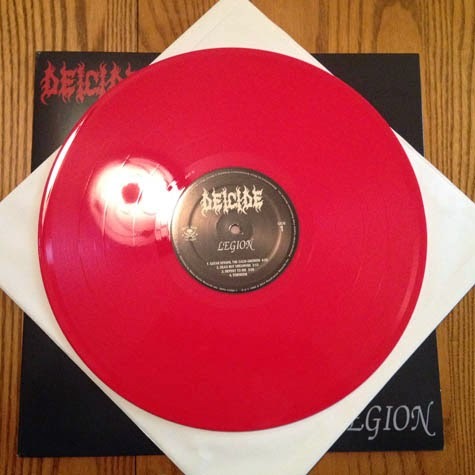 But, bands like Deicide slipped past me and, consequently, so did Legion, which is a wonderfully brutal and technically astounding listen. While I won't attribute this to any lack of exposure to the music, (I had metal friends, don'tcha know? ), I will say that the Black Flag/Rollins Band/90s-Alternative Rock kick I was on at the time probably chalked up any and all other noise as mere distraction. Plus, as I'd mentioned earlier, I had a very narrow understanding of music and what it was I was supposed to be listening to. As I've grown older, I've definitely become a more adventurous listener. At least, in my mind I have. Maybe I'm not adventurous enough? 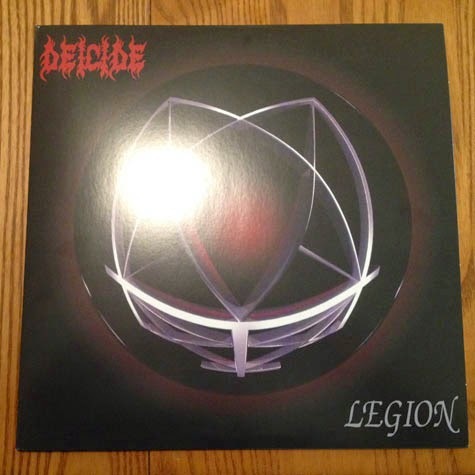 So, Legion, following that extensive digression, is Deicide's second LP and was originally released in 1992. The reissue is from Metal Blade Records, though I picked this up from 20 Buck Spin's online store. Red vinyl, but no frills. 180 grams of sturdy, breakneck aggression. I dropped the needle on this yesterday, dialed up the receiver and immediately hit up the air guitar. My daughter walked by, gave me one look and went, "Really, Dad?" It was an inspiring moment. Somehow the cassette format is fitting for Donuts, the much celebrated instrumental release from the late J Dilla. 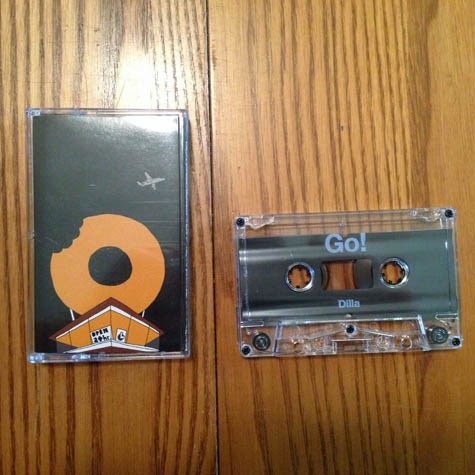 Its 31 tracks are treated as singular composite tracks, either labeled "Go!" or "Stop." depending on which side you're playing, forcing listeners to consider Donuts as a whole rather than easily digestible portions. And, yes, I'm aware that I made what sounded like food analogies about an album called Donuts. Stones Throw released the cassette version of the album for this year's Cassette Store Day. As I wasn't able to take part in the festivities, and I knew that Stones Throw was issuing Cassette Store versions of this as well as Madvillian's Madvillainy, I figured I'd investigate the release's availability after the event. Other than enforcing the album's track-by-track continuity, the format also grants the recording some audible grit, a factor directly connected to its format, which doesn't become distracting. Instead, it humanizes the mix, adding an analog sheen to this expert manual assembly of various sounds and samples. It's the sort of cut-n-paste sound collage you want to hear from a hip-hop producer/DJ, the re-purposing of old to new as heard on an antiquated, but underground, platform. All that being said, I'm happy Stones Throw decided to release Donuts this way.